The Little Wild Campsite really does what it says on the tin. 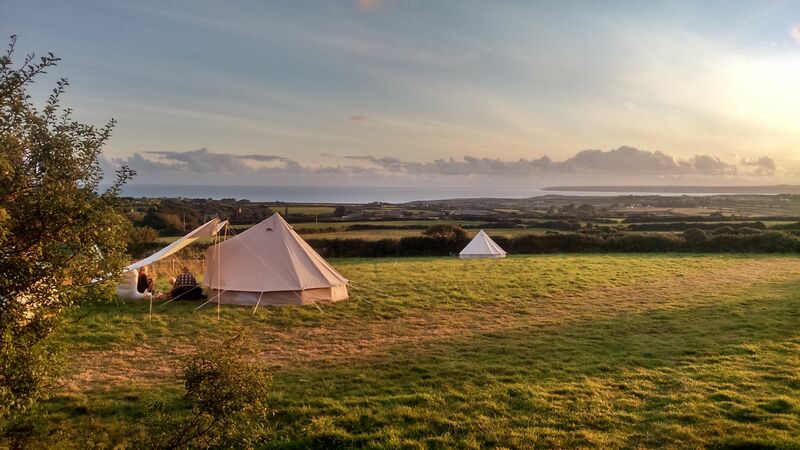 This little campsite appears for only the summer months of the year, occupying a small field on Tregonning Hill, a World Heritage Site with stunning views of Mount’s Bay. Those looking to truly escape modern life and get back-to-basics should definitely give the Little Wild Campsite a try – there's no electricity, a single compost toilet, a shared shower and just eight grassy camping pitches. The real upside? 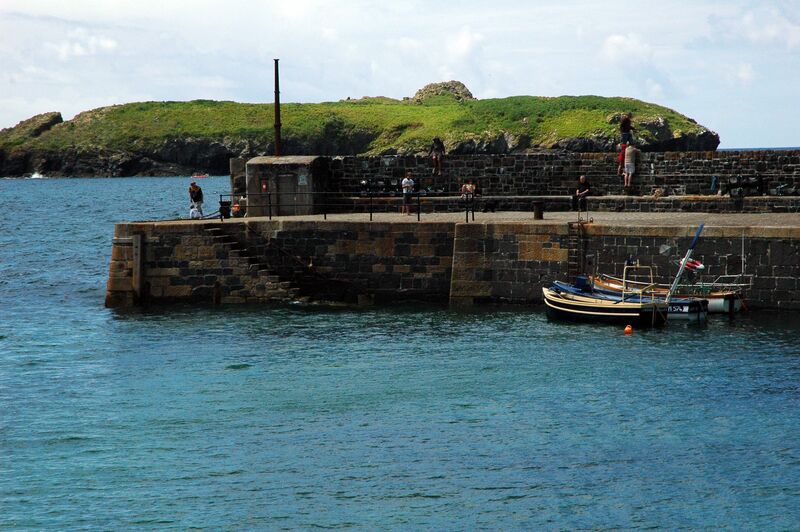 An abundance of activities, wildlife, and breathtaking Cornish scenery slap bang on the doorstep. 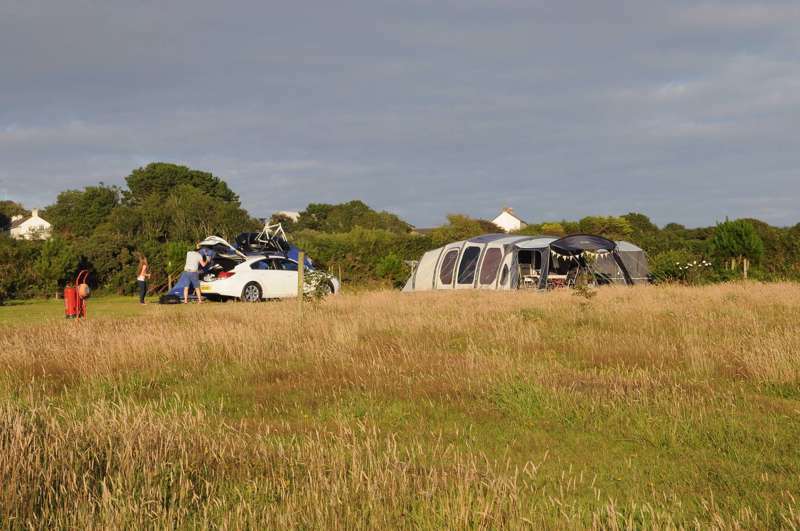 Teneriffe Farm is a versatile campsite that offers decent-sized pitches and additionally caters for touring caravans and campervans as well as an abundance of tent campers. All its pitches are on grass and there are a number of amenities available, including a children’s play area, electric hook-ups, a launderette, toilets and showers. Surrounded by farmland, as well as the North Predannack Downs Nature Reserve and Lizard National Nature Reserve, Teneriffe Farm offers a prime epicentre and base for you to explore the Lizard Peninsula’s beautiful scenery. The South West Coast Path is also a mere 10 minutes’ walk away from the campsite, making Teneriffe Farm ideal for budding hikers who want to take in the dramatic Cornish coastline. 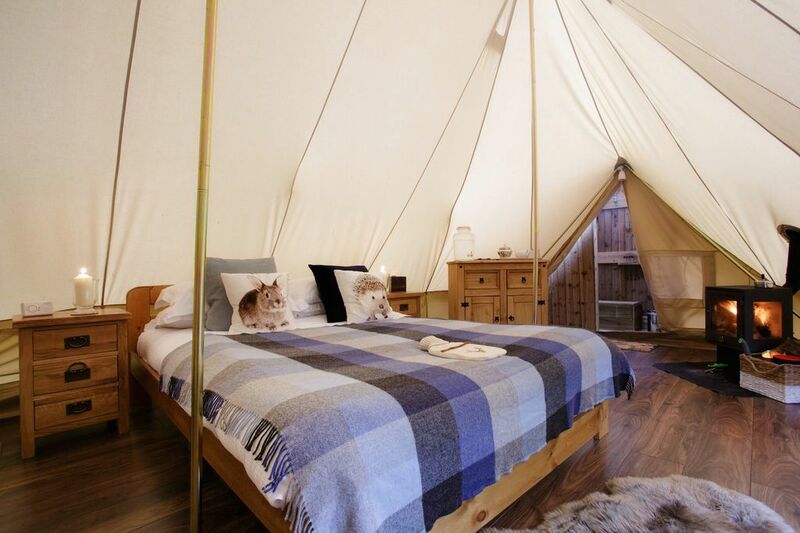 Glampotel is a UK glamping group with numerous sites around the UK. This Cornish location on the Lizard Peninsula, aptly named “Lizard Point”, certainly fits the term “campsite” loosely – you needn't bring a tent and can simply rock up and settle into one of their warm and endearing pre-pitched and furnished canvas cottages, complete with a deck. The bell tent structures on offer include wooden floors and furniture, cooking facilities, wood-burning stoves and an en-suite bathroom. Sick of uncomfortable roll mats and sleeping bags? 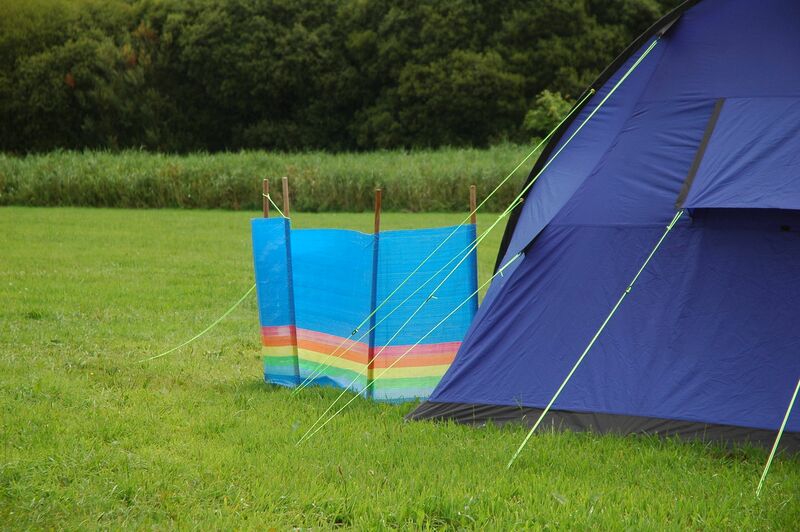 Glampotel tents come with king size memory foam mattresses and Egyptian cotton sheets so you can camp like a Pharaoh! Cornish Yurts features just two superbly finished yurts, decked out in furry throws, antique-style furniture, and with a log-burning stove. 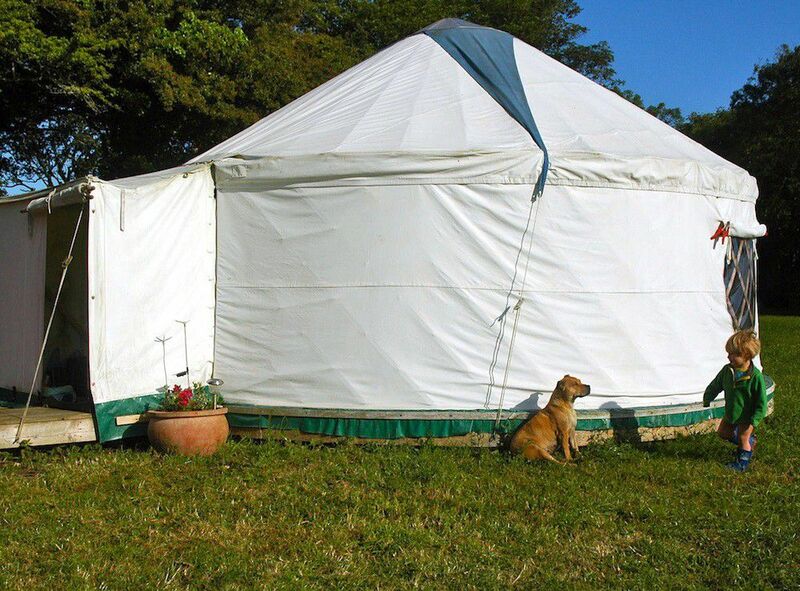 The overall effect of the yurts is cosy, rustic, and somewhere between camping and glamping and, situated close to a camel farm, there's also an exotic element thrown in too! The yurts come with their own (unattached) showers and toilets, allowing you a little more privacy that you may find at other sites, while the option to book in for a reflexology treatment in the farmhouse adds further luxury still. Sound like too much pampering? Why not don the wellies and go for a tour of the adjacent farm? Located on a nine acre mixture of lakes, meadows and woodland near the picturesque village of Constantine, Trecombe Lakes is a quaint glamping experience ideal for the whole family. The site is decked out with glamping pods that resemble opulent treehouses that simply happen to be on the ground. Each glamping pod has a warm, cosy, home-like feel and comes complete with a kitchenette, en-suite bathroom, and three beds (one double and two singles). The nearby woodland play area is perfect for the little ones, featuring a tree house (a real one, in a tree this time), climbing wall, rope swings, and much more! Situated in the heart of Maen Valley, Tregedna Farm is the perfect base from which to explore the Lizard's beaches and coastline. The 12-acre campsite allows for incredibly spacious pitches, and also leaves plenty of room for children (and adults) to play games or sports. Tregedna Farm also features a lodge – a traditional grain store that has been craftily converted into a small hotel. 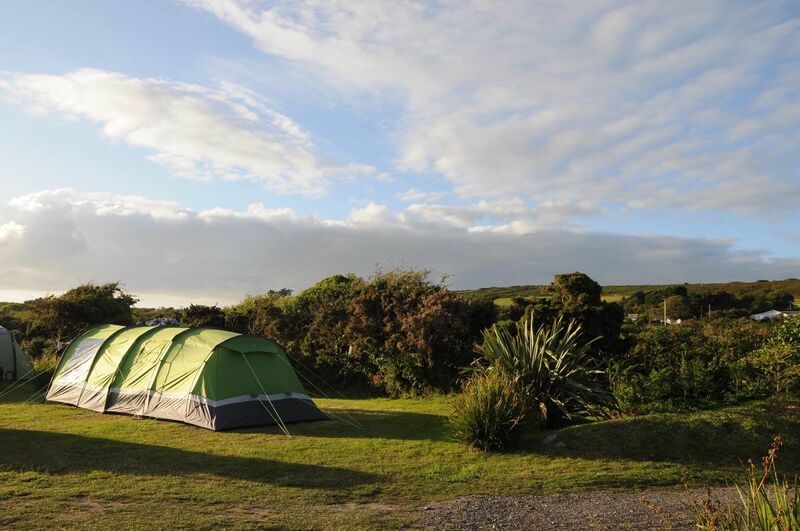 Though the campsite is understandably more basic than the lodge, it does feature a toilet block, private showers, and washing/drying facilities nonetheless and beautiful Maenporth Beach is just a short walk away. Granary Barn Camping site consists of a trio of meadows that give campers a huge expanse of land to play with. Tom, the site’s owner, has a refreshingly laid-back attitude to pitches, allowing visitors to basically camp wherever they wish, and the three fields are all incredibly flat, so you can pitch where you want without having to sleep sideways. Amenities-wise you will find well-cleaned toilets with a shower room, as well as laundry facilities and a fridge in the barn. Water points and rubbish bins are dotted conveniently around the camping fields. There is also an adjacent hostel and a separate B&B for those who have grown tired of their tents! 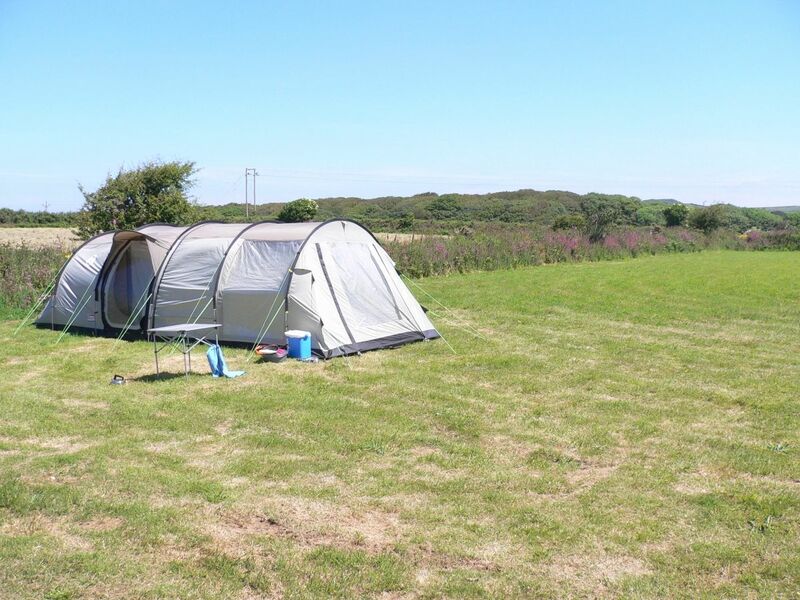 Situated between Helston and Penzance, Tremorvu is a quaint and quiet family-run campsite. The site is flexible, and includes a mixture of camping and glamping options. Tremorvu’s eight acres of Cornish countryside is ideal for nature lovers and birdwatchers alike, welcoming a plethora of indigenous badgers, buzzards, goldfinches, and foxes. This site’s distant views of the Atlantic Ocean and the Penwith Peninsula offer unforgettable visual experiences at sunrise and sunset. The site features an ablutions block housing showers, toilets, wet rooms, hair dryers and electrical shaving sockets, as well as a washing up room and laundry room.